Obama File 73 Weather Alert! Obama's "Green Jobs" Czar Linked to Former Terrorist Supporters? 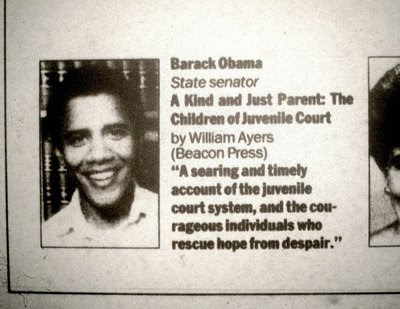 During last year's presidential election, Barack Obama was quizzed over his connections to former Weather Underground terrorists Bill Ayers and Bernardine Dorhn. Obama tried to downplay the significance of his ties to the radical couple and told America that their crimes ocurred when he was only "eight years old". Now it turns out that Van Jones, president Obama's newly appointed "Green Jobs" Czar (Special Advisor for Green Jobs, Enterprise and Innovation at the White House Council on Environmental Quality) may also have a little Weather Underground influence in his background. While Jones is even younger than Obama, the connections may still have serious security implications. Van Jones was, until around 2002, a leader of a Bay Area communist sect Standing Together to Organize a Revolutionary movement (STORM). It seems that Jones was also linked to or influenced, to some degree, by two former Weather Underground supporters, Bay Area activists Jon and Nancy Frappier. Further more Jones was for several years very closely linked to another Bay Area activist Diana Frappier-very likely related to Jon and Nancy Frappier. Diana has proudly supported the organization's growth from a small-scale operation of one full-time staff into a grassroots powerhouse...While she is not focused on the Ella Baker Center, she is operating a private community criminal defense practice, and serving on the boards of Bay Area non-profits Machen Center and TURF (Together United Recommitted Forever.) This San Francisco native is also a real estate broker, supporting activists and other members of her community to empower themselves through homeownership. 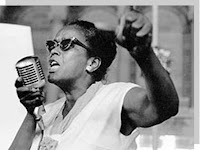 The Ella Baker Center is named after little known civil rights firebrand Ella J Baker(1903/1986). Baker worked closely with communists for years including secret party member Stanley Levison-for many years the CPUSA's top money man. Why did Van Jones and Diana Frappier name their center after Ella J Baker? Here is one possible reason. By the 1970s Ella Baker was involved with several far left organizations of the time including the Mass Party Organising Committee and the Puerto Rican Support Committee. Both groups were close to the Praire Fire Organizing Committee (PFOC), the "legal" support network for the Weather Underground. PFOC-led by Bernardine Dorhn's sister Jennifer organized a large gathering conference in January 1976 in Chicago. The "Hard Times" conference was designed by the Weather Underground to unite the US far left into a new communist party. The Black Panthers were invited as were the Socialist Workers Party, the Workers World Party, the marxist-leninist Puerto Rican Socialist Party, the Puerto Rican Support Group and the Mass Party Organizing Committee. Below is a partial list of Hard times attendees taken from the 1982 book on the Weather Underground Outlaws of Amerika (p33). Note the names-Jennifer Dohrn PFOC National Committee, Ella J Baker MPOC&PRSC and Nancy Barnett (Frappier) Bay Area PFOC. Could this be the connection? Nancy Frappier may have been more than PFOC. According to the FBI's Weather Underground file she was associated with many WUO members and her car was parked outside the Weathermen's December 1969 "War Council" at Flint Michigan. In 1971 the FBI also observed Jennifer Dohrn visiting Frappier's home in San Francisco. The FBI also suspected that Nancy Frappier travelled to Cuba in February 1970. Today Nancy Frappier works in health services in the Bay Area. Both Diana and Nancy Frappier donate to the Berkeley YMCA. Jon Frappier was also close to the Weathermen. Frappier's FBI profile claims that he was arrested during the Weathermen's "Days of Rage" rioting in October 1969 in Chicago and that he was also issued with a traffic ticket near the 1969 Michigan "War Council." The FBI also allege that Frappier travelled to Guatemala in 1966 with future Weather Underground member (and Bill Ayers's late girlfriend)Diana Oughton. The pair were accused of trying to contact Guatemalan guerilla's for the Students for a democratic Society Radical Education Project. John Frappier went on to run the San Francisco office of the North American Congress on Latin America (NACLA)-a creation of the Weather Underground's parent organization Students for a Democratic Society (SDS). In the British edition of Inside the Company: CIA Diary, CIA agent turned Cuban intelligence ally Philip Agee admitted that Cuban government agents and Communist Party officials provided "special assistance and data available only from government documentation" and that NACLA staff "obtained vital research materials in New York and Washington, DC." After NACLA, Jon Frappier went on to establish an organisation that has become the intelligence hub of the US left, the Oakland based DataCenter, a-"national progressive non-profit that provides strategic information & research training to communities advocating for dignity, justice & civil rights." DataCenter—an activist library and publication center—is founded in affiliation with the North American Congress on Latin America (NACLA) by Jon Frappier, Fred Goff, Loretta & Harry Strharsky and 40 dedicated volunteers. Establish Corporate Profile Project for clients such as United Nations Centre on Transnational Corporations & customized research service for immigration attorneys representing Central Americans seeking political asylum. Publish press profiles, The Reagan File, on Ronald Reagan and his policies on labor, El Salvador, foreign policy, and military policy in Asia. Expand Search Service to include corporate accountability research to support community, labor, and corporate campaigns and political asylees from all over the world. Incredibly, DataCenter also admits to being an information gatherer for Cuban "institutions". Does that sound just a little scary? Guess what? DataCenter also supports Van Jones and Diana Frappier's Ella Baker Center. Jon Frappier now runs a Northern California security and investigation company-which leads into this story. Rag Blog contributor Michael D Nolan recounts that during a recent to Cuba he is guided around the the Island by Coqui (Pedro Enrique) Salazar. "Now 65, Coqui had a full mane of wavy black hair. As a young man, he fought with Castro in the mountains outside his native Guantanamo...a member of the student movement in Havana working to overthrow the Batista regime." It turns out that "Coqui" has a brother living in the US. Michael D Nolan offers to help track down the long lost Pedro Salazar. Sure enough the brothers are united. Jon Frappier got to make a Cuban family very happy. What makes this significant is that the Rag Blog is associated with Movement for a Democratic Society (MDS)-which is the "adult" support group for the re-established SDS. MDS activists include Van Jones's colleague Betita Martinez and several SDS veterans (including former Obama educational colleagues Carl Davidson and Mike Klonsky)plus several former leaders of the Weather Underground including Bill Ayers, Bernardine Dohrn, Jeff Jones and Mark Rudd. Rudd and another former Weather Underground member Marilyn Buck are listed as Rag Blog contributors. Buck apparently blogs from jail-FCI Dublin in California, where she is serving an 80 year sentence for her role bombing the Capitol. MDS is also the parent body of Progressives For Obama. In 2005, Van Jones and Diana Frappier launched the Ella Baker Center's Green-Collar Jobs Campaign. 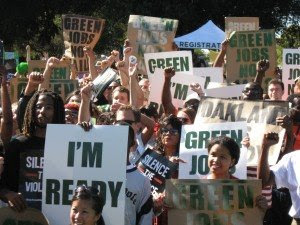 This led to the establishment of the US's first "Green Jobs Corps" in Oakland. 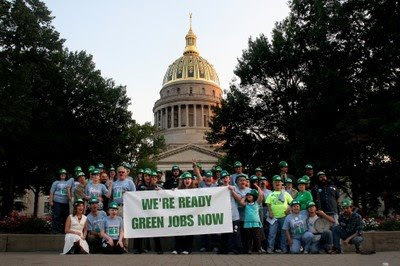 In 2007, Van Jones announced a new national organization Green For All-to take the Green Jobs campaign nationwide. Diana Frappier serves on the board of Green For All. Jon and Nancy Frappier are listed as donors to the organization. Scary stuff. Thanks for your research. This is "scary stuff" only to the GOP and corporate mafia that want to continue dominating this country politically and economically. Otherwise, it describes people who are taking action to empower themselves and others who are relatively poor and powerless.